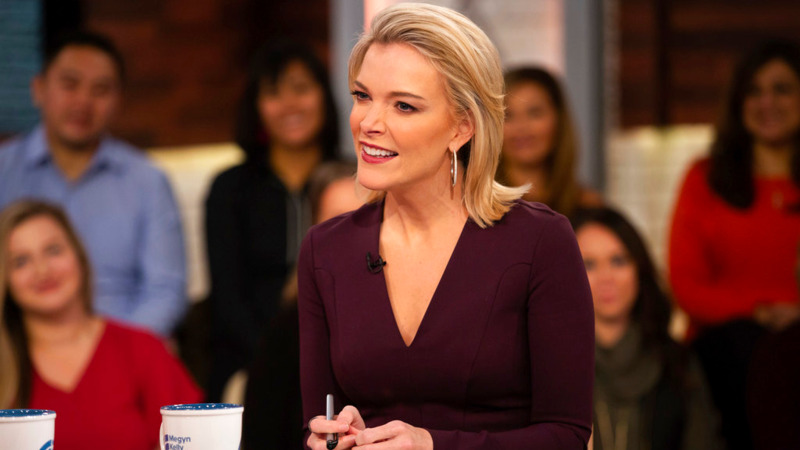 This Oct. 22, 2018 photo released by NBC shows Megyn Kelly on the set of her show "Megyn Kelly Today," in New York. Megyn Kelly, the former Fox News Channel personality who made a rocky transition to softer news at NBC, was fired from her morning show Friday after triggering a furor by suggesting it's OK for white people to wear blackface at Halloween. "'Megyn Kelly Today' is not returning," NBC News said in a statement. The show occupied the fourth hour of NBC's "Today" program, a time slot that will be hosted by other co-anchors beginning next week, the network said. Kelly did not host new episodes of "Megyn Kelly Today" as scheduled on Thursday and Friday.